Quite simply… trees need care, and we care for trees. In their natural environment (the forest), trees receive most everything they need; but in the landscape, they need our help to keep them healthy and structurally sound. Chris Francis Tree Care focuses on professionalism, quality work, and attention to detail. Phones are answered by a live person; so call anytime, even on the weekends and in the middle of the night. We provide a long list of services to suit your needs. Chris Francis Tree Care is committed to excellence in everything we do. Expect professional, knowledgeable, friendly, uniformed, and intelligent representatives from the company. 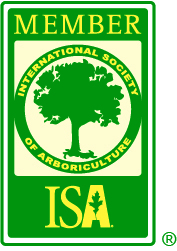 Chris Francis is an ISA Board Certified Master Arborist (#SO-6157B), holds the ISA Tree Risk Assessment Qualification, is an ALNLA Certified Landscape Professional, and is Alabama State Licensed in: Tree Surgery, Landscape Design, Setting of Landscape Plants, and Ornamental & Turf Pest Control Supervisor. All of these certifications and licenses require education, experience, and examination; most require continuing education credits to maintain. You will be hard pressed to find anyone with more credentials. 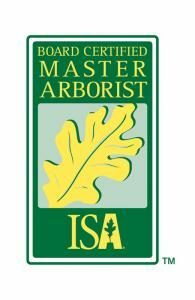 And with many years in the landscape business before concentrating on tree care, Chris understands and respects your landscape. Chris Francis Tree Care can provide proof of certifications, licenses, bond, insurance, qualifications, and workers compensation. These things should be required of any contractor before work begins. Remember, there are no sign police; so, just because someone advertises on the truck, in the phone book, or on a business card, that is not proof. Get it in writing! Honest companies will not hesitate to provide certificates to you from their insurer(s). Most of our work takes place in Baldwin and Mobile Counties of Alabama. We enjoy working in: Daphne, Fairhope, Montrose, Spanish Fort, Point Clear, Mobile, Orange Beach, Gulf Shores, Foley, Magnolia Springs, Silverhill, and unincorporated areas. Call today to schedule an appointment with one of our professionals: (251) FOR-TREE, that’s (251) 367-8733.